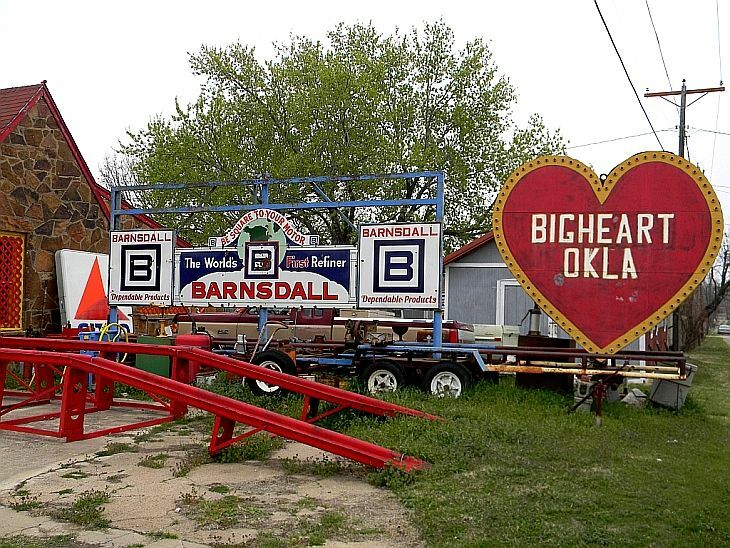 Bigheart, Oklahoma, or as is now currently known, Barnsdall, is a small town in Osage county with a lot of unique history. 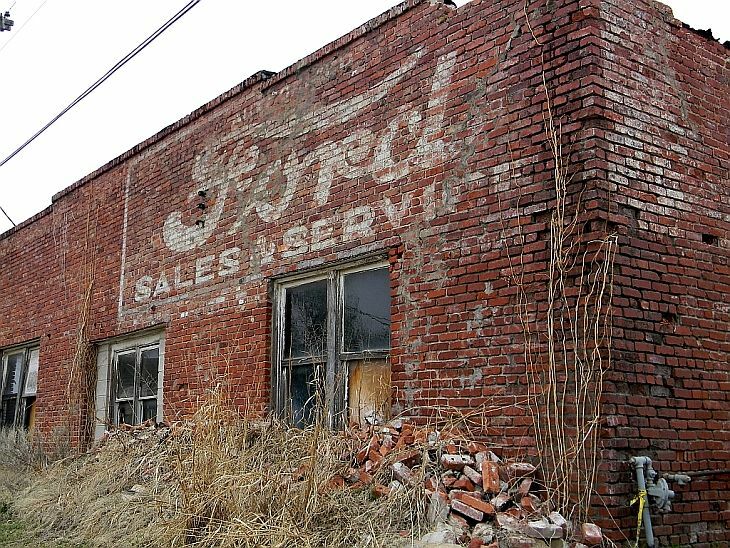 Not a ghost town in the traditional sense, but like many of the small towns, it has fallen far from its glory days. 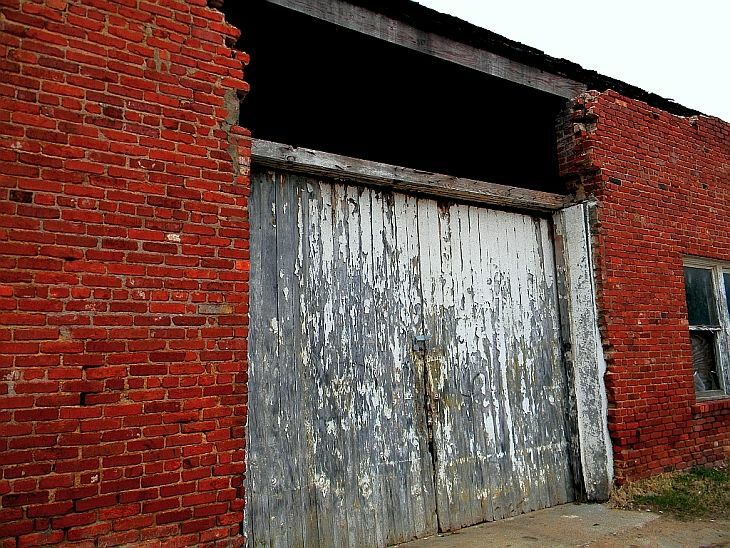 Many of the buildings in the commercial district are unused and in poor repair. 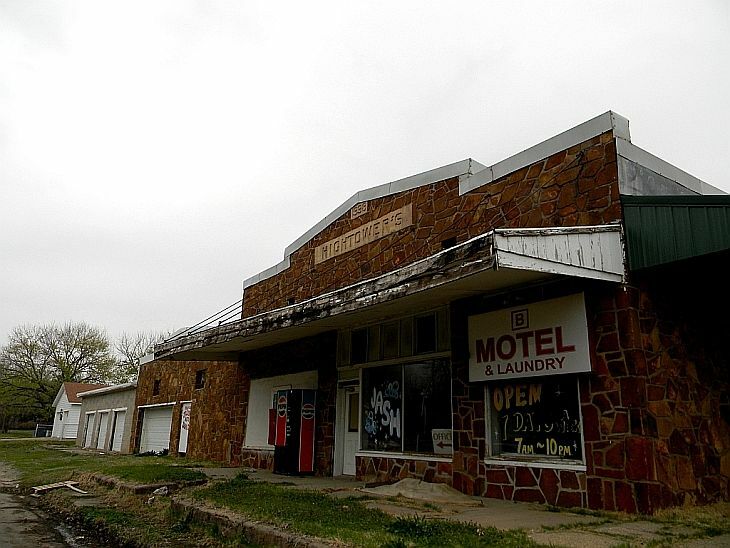 Once a thriving oil boom town, it now sits quietly on the prairie. 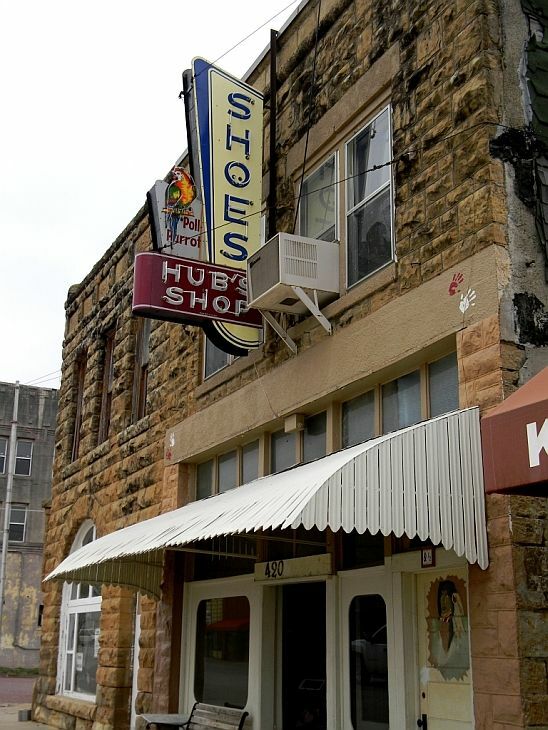 The town was originally called Bigheart after a famous Osage Indian chief of the time. 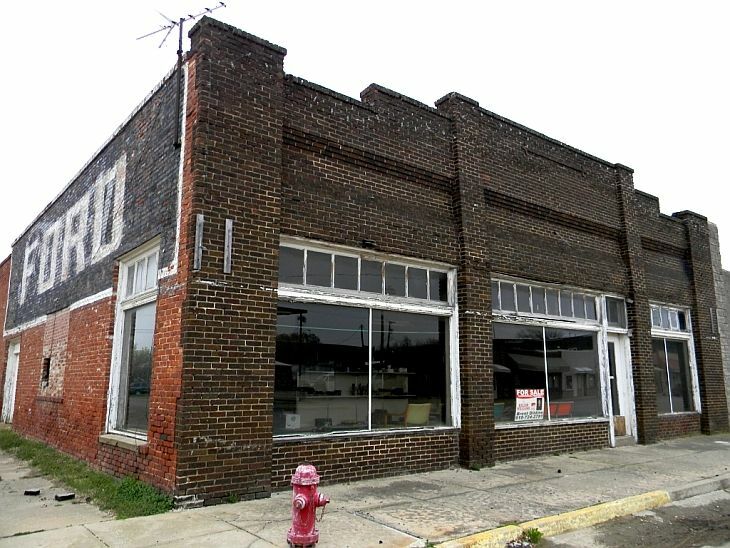 Bigheart began as a 160-acre townsite along the Midland Valley Railway in March 1905 with a post office established in January 1906. City lots were auctioned in May 1906 and businesses and residences were constructed along the railroad right-of-way and on a hill west of the settlement. The Bigheart Star, the first of several community newspapers, started publication in 1906. Joshua S. Cosden built the Southwestern Refining Company at Bigheart in 1910. 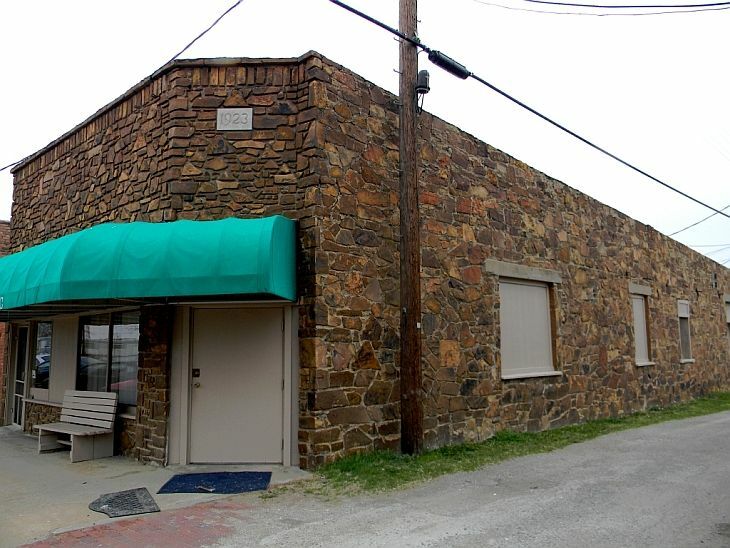 This facility was later acquired by the Barnsdall Refining Company and in 1940 became the Bareco Refinery. Bareco stopped refining in 1946 and began manufacturing microcrystalline waxes. Bareco was redesignated the Bareco Wax Company in 1952 and was subsequently purchased by the Petrolite Corporation. The plant became the world's largest manufacturer of microcrystalline waxes. 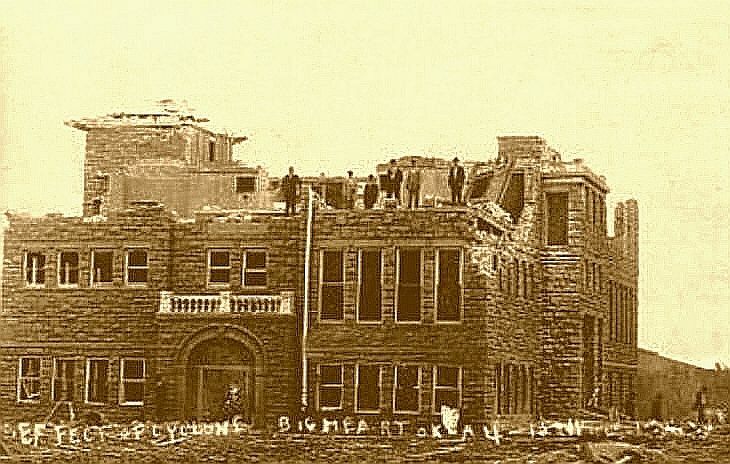 In 1911, tornadoes swept through 14 towns in Kansas, Missouri and Oklahoma and killed at least 25 people, destroying all but six of the buildings in Bigheart. A newspaper clip from the time. PAWHUSKA, April 13. – Details of the disaster have been difficult to obtain. All telegraph and telephone communications were severed and communication with the stricken town was almost impossible. The valuable oil field surrounding the town of Big Heart is a complete ruin, every derrick and rig having been leveled to the ground. 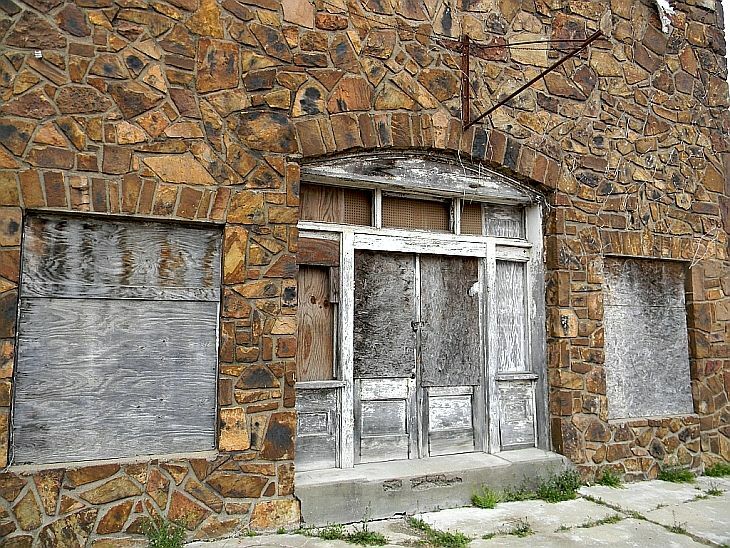 The property loss in the town of Big Heart is place at ½ million dollars and the loss in the oil field is almost equally as great. J. H. Harris, superintendent of the Midland Valley Railroad, was near Big Heart when the storm struck. He was riding in his private motor track car. He made a record run to Pawhuska, where he gave the alarm and took back to Big Heart all the doctors he could find. He then went to Avant, Ok., and got a work train which he sent to Big Heart to be used in transporting the dead and injured to the hospitals at Tulsa. A train of box cars was also taken to Big Heart to be used by the homeless ones. The train carrying the injured reached Tulsa at 1:30 o’clock this morning. Hundreds of men were working in the oil field at the time. It has been impossible to learn how many were killed and injured there because the rescuing parties have spent the night searching the wreckage about the townsite of the town proper. It hardly seems plausible, though, that all should have escaped with their lives. One report said that only six building remained standing in the town. This was the beginning of a string of incidents that spanned a 14 year period. 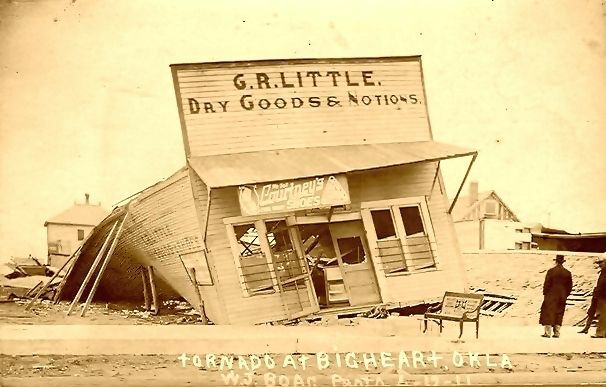 In addition to the tornado in April 1911, Bigheart survived a fire in March 1913, and a flood in September 1915, a nitro explostion in January 1919, and an explosion at the refinery in 1925. Throw in the dust bowl and Great Depression, and it's amazing the town survived. A newspaper clip of the nitro explosion. 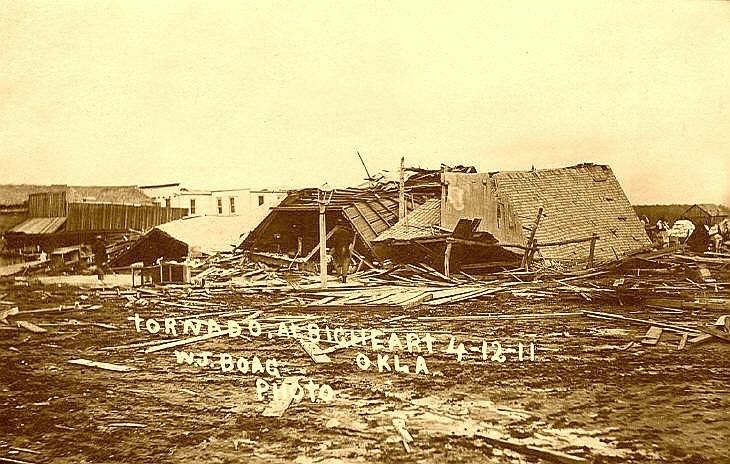 BIG HEART, Okla.-Eight people were killed and more than a score severely injured when a wagon carrying nitroglycerine belonging to the Eastern Torpedo Company exploded in the heart of the residence district here today. WALTER ENGLISH, of Tulsa, 44, driver and BOB KINDA, also on the wagon, were blown to atoms. The residence of LATH HARRIS, in front of which the explosion occurred, was levelled to the ground. HARRIS and his wife were perhaps fatally wounded and their three-year-old baby boy was killed. Seven other houses in the vicinity were wrecked. 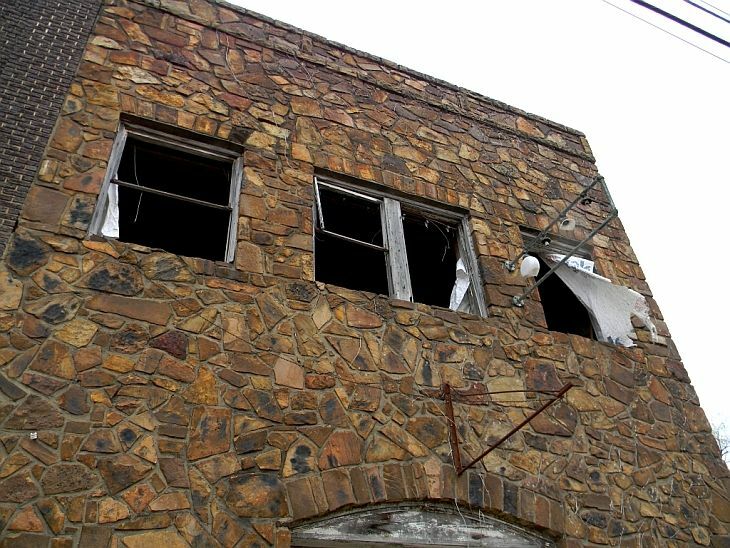 The explosion broke every window in the town and shook the ground for hundreds of yards around. All telegraph and telephone communication was destroyed. Big Heart has only one doctor. He had a corps of workers attending to the dead and wounded. 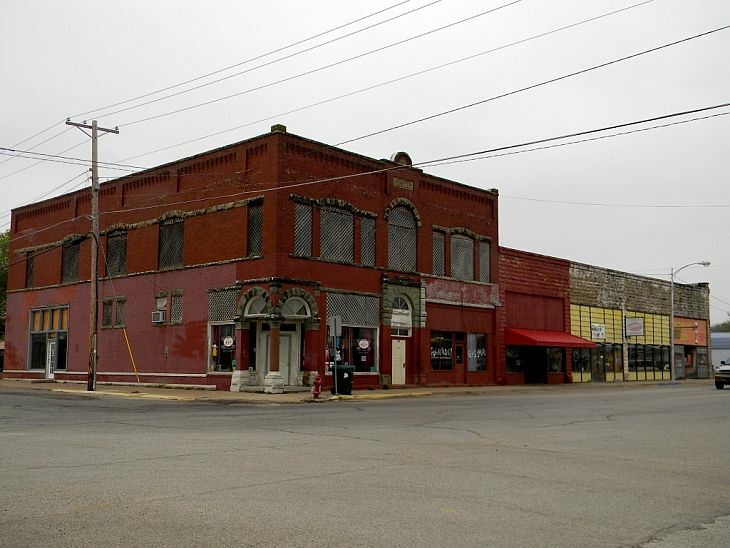 Pawhuska, Okla, sent physicians and rescue workers in motor cars to the scene. Not all the bodies of the dead and wounded were recovered from the ruins of the houses and casualties may exceed first figures. Only two quarts of nitroglycerin were in the wagon. The cause of the explosion is unknown. Oil was the main economic engine for the town. 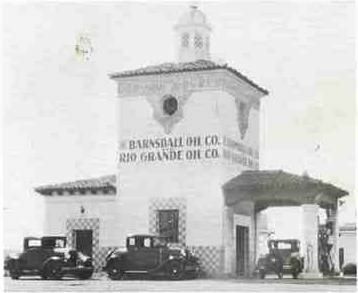 The Barnsdall Oil Company discovered the nearby Bigheart Oil Field in 1916 and purchased the local Producing and Refining Company in 1921. The nearby Burbank field also ensured steady work at the refinery. On January 1, 1922, the community was officially renamed Barnsdall in honor of Theodore N. Barnsdall and his Barnsdall Oil Company. The main street oil well, drilled in 1914. Part of the business district with a bank on the corner. There seems to be some confusion (mine) on the banks. 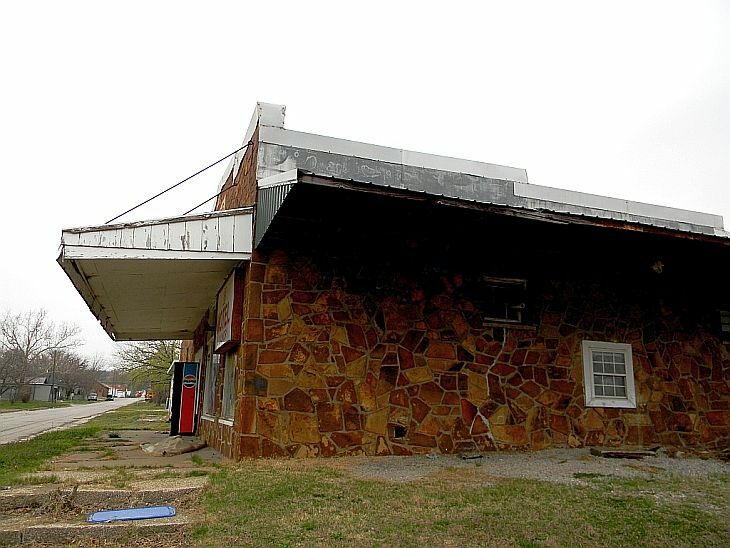 The Bank of Bigheart is supposed to be the oldest surviving building in Barnsdall. From the documentation I've found, the Bank of Bigheart was built in 1911 (I have some suspicions it predates that) and when the town changed it's name in 1921 (1922 officially) it changed to a national charter and became the Barnsdall National Bank. 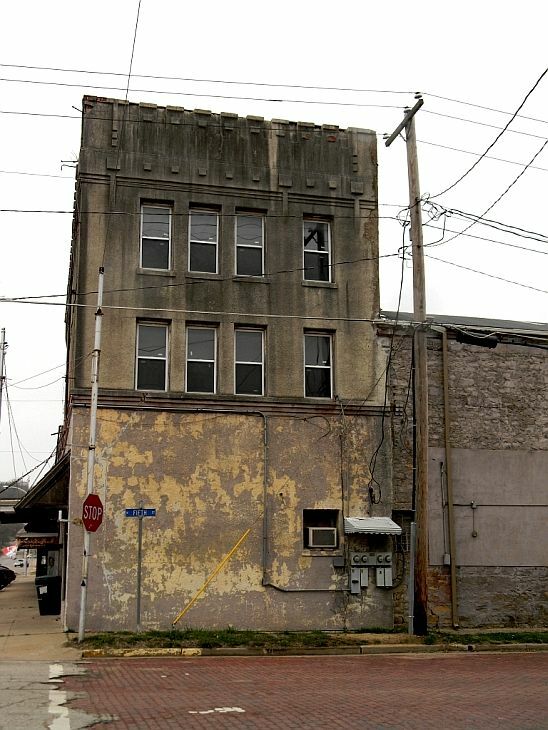 This building is listed on the NRHP. 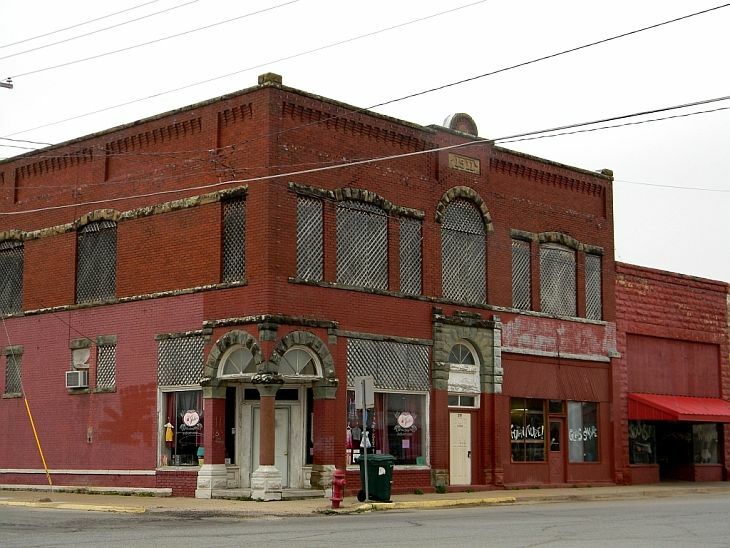 However, I've found that some people call the above the Bank of Bigheart and this the Barnsdall National Bank. 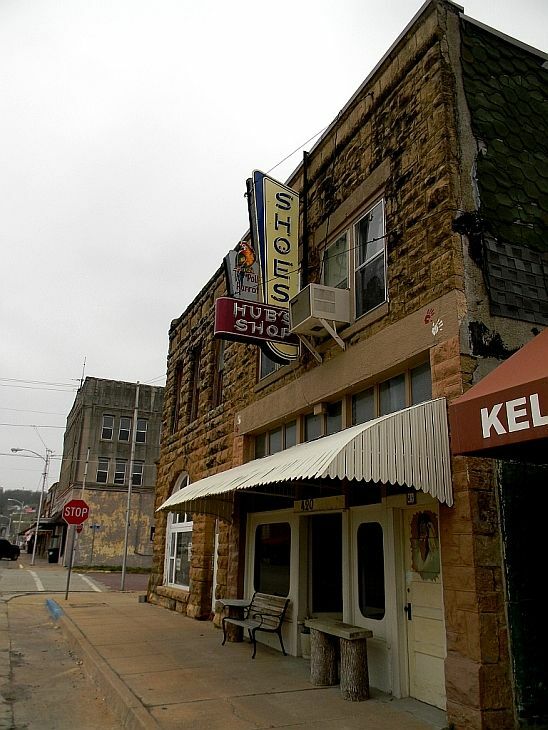 The placard on this building shows it was built in 1911. 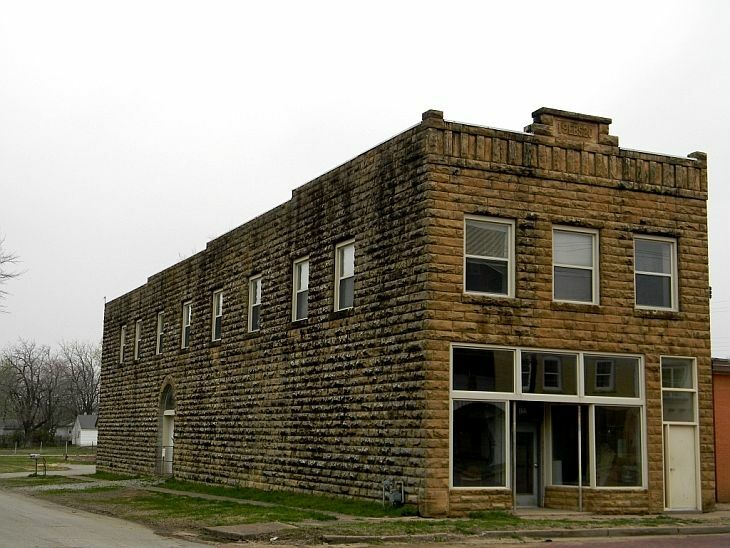 The old bank records show two banks in Big Heart, the Bank of Bigheart which obtained a national charter in 1921 and with the towns name change became the Barnsdall National bank. 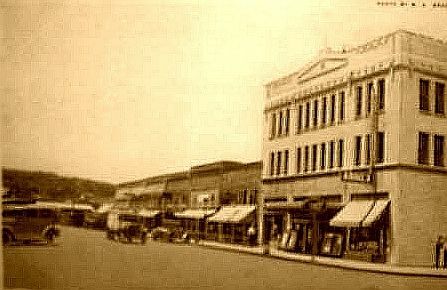 The other bank was the Barnsdall Bank of Commerce, which failed in 1925. 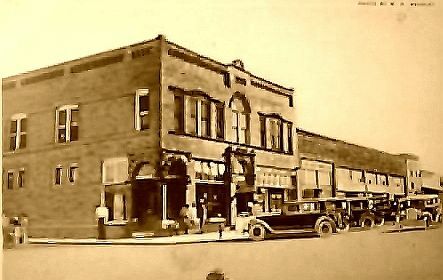 The Bank of Bigheart aka Barnsdall National Bank closed in the 1930s. I suspect the brick bank was the Bank of Commerce. This is the old Runyan (Airdome) theater, later called the Roxy theater. 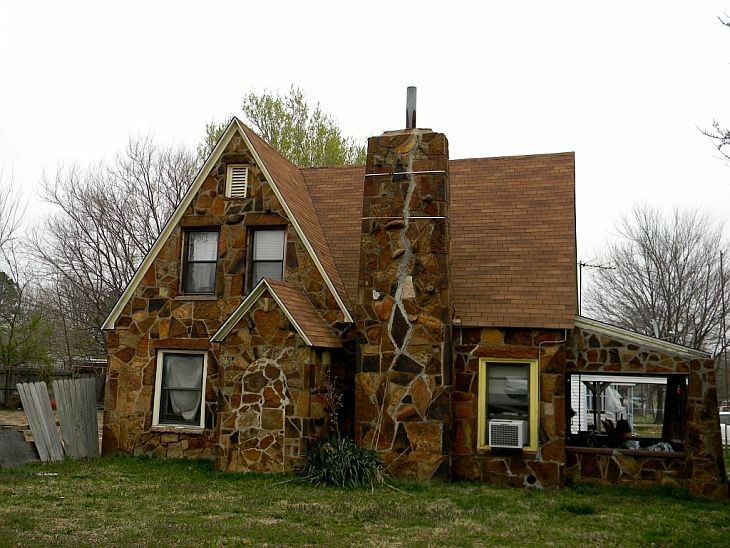 In the early 1900's, the Runyon family moved from Chanute, Kansas to Oklahoma ending up in Bigheart. The elder Runyon was an oilfield engineer but he had dreams of building a movie theater. In his spare time he would visit schools in the Osage hills pulling his gas operated movie projector by horse and cart. He presented silent films on a sheet he hung from a wall in school auditoriums for students until the time the generator he had caught fire and burned the projector beyond use. He once tried to present movies in a tent in Bigheart but when the tornado ripped through the town, his gear was destroyed. After six attempts at gaining the funds for a movie house, his seventh attempt was successful, and the Airdome Theatre was erected. The name was later changed to the Runyon Theatre. Orignally showing silent films, sound effects where generated from the orchesta pit using the snare drum and such things as rattling a large piece of tin to mimic thunder. The theater originally closed in the 1950s, but reopened briefly in the 1990's. In it's hey-day the theatre had the largest screen in Oklahoma. Supposedly the original screen still exists. The projectors were the original rod burning reflective mirror type, 35mm. This is high on my list to get inside. 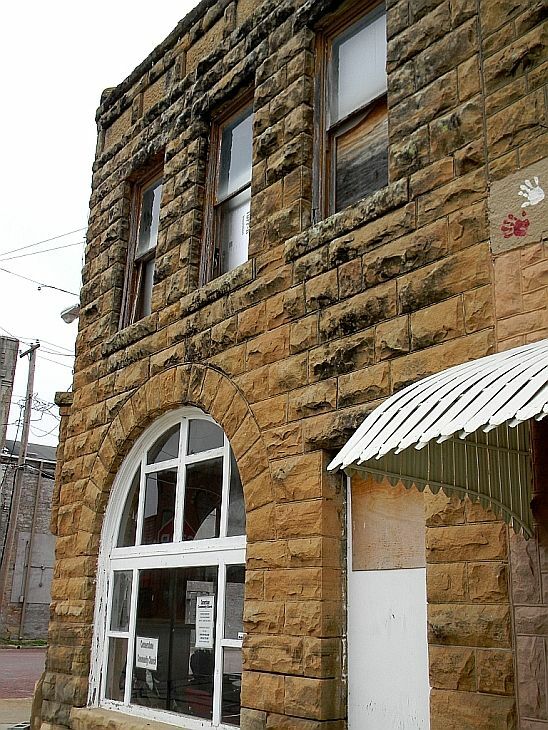 The Bank of Bigheart was built with the bank on the lower level with office space above and mercantile beside it. I love the old Poll Parrot shoe sign. The Parrot Shoe Company, which began selling Poll-Parrot Shoes in 1925, had stiff competition from another kiddie clothier with Buster Brown. The big three kids shoes of the era were Buster Brown, Poll Parrot, and Red Goose. During this time, style and comfort in kids' shoes were at best an afterthought. What these shoes offered was sheer durability. In those days, their mission was to turn the thickest, stiffest leather imaginable into a shoe that could last a fourth grader an entire school year. Buster Brown, Red Goose, and Poll Parrot battled for the hearts and minds of American children using giveaway trinkets, comic books, radio shows, and television sponsorships on such TV shows as Howdy Doody, Captain Video, and Tom Corbett, Space Cadet. Poll Parrot and Red Goose where bought by International Shoe in the 1950s, though the brands continued until the 60's. 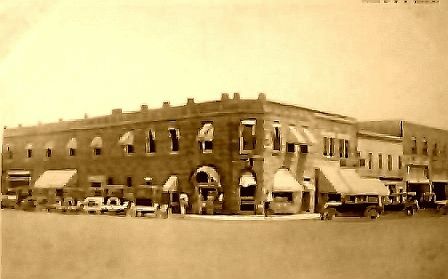 The Barnsdall Oil company operated primarily in Oklahoma and California, though they had some presence in other southern states. Barndsall Oil was later incorporated into Sun, Sun-Ray, and DX. In 1949 the Barnsdall Oil Company of Tulsa, Oklahoma, designed and built the first modern open-water mobile drilling barge. It is considered to be one of the top five most influentual oil companies of all time. 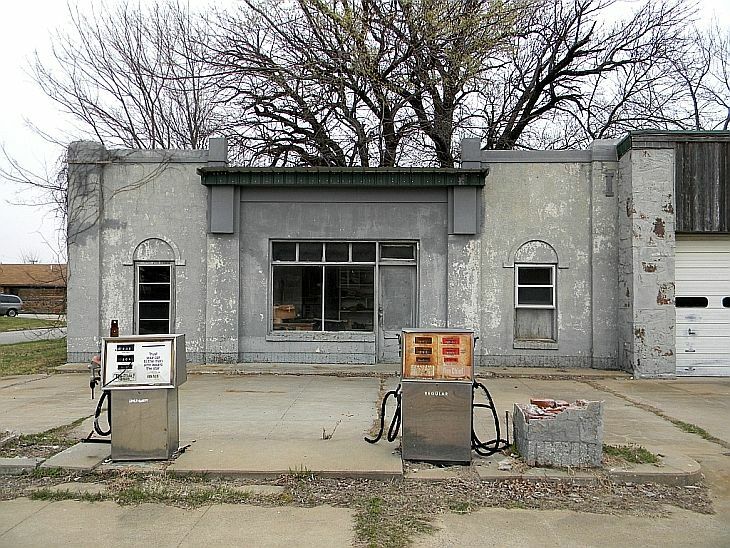 There are few surviving Barnsdall gas stations. The best known example is in California near Santa Barbara. 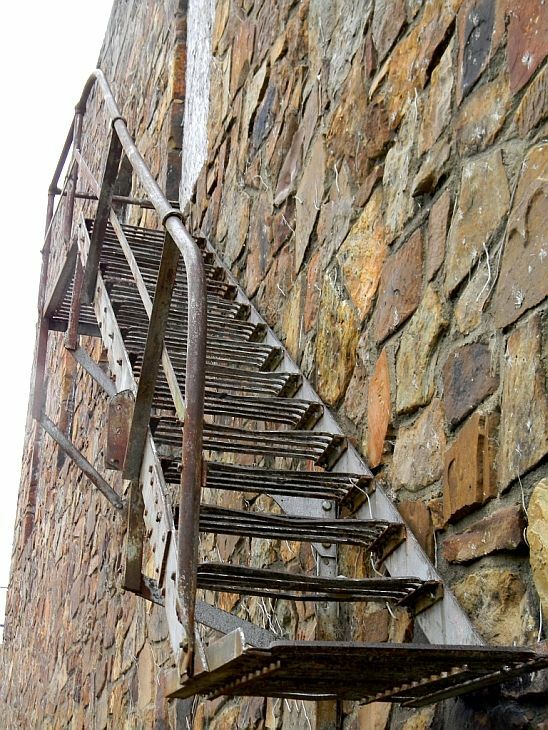 Build in 1929, it still exist today. 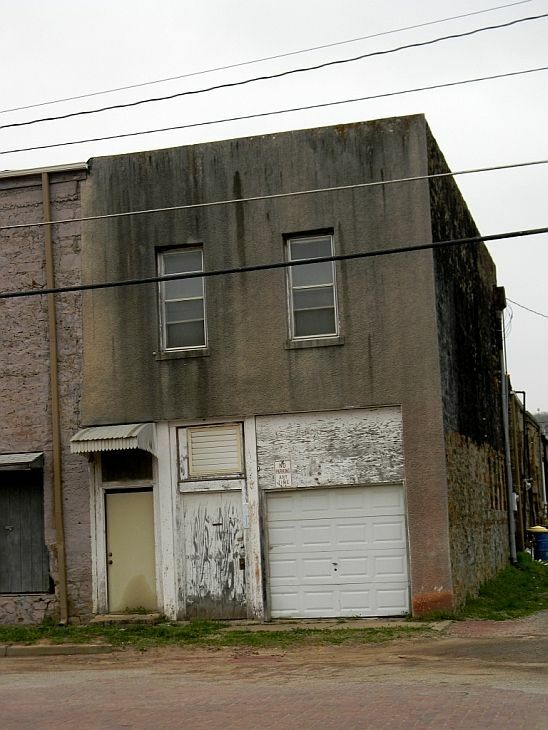 I've gotten conflicting stories on this building. About equal on whether it was originally a Barnsdall station or not. Regardless, I like the building. 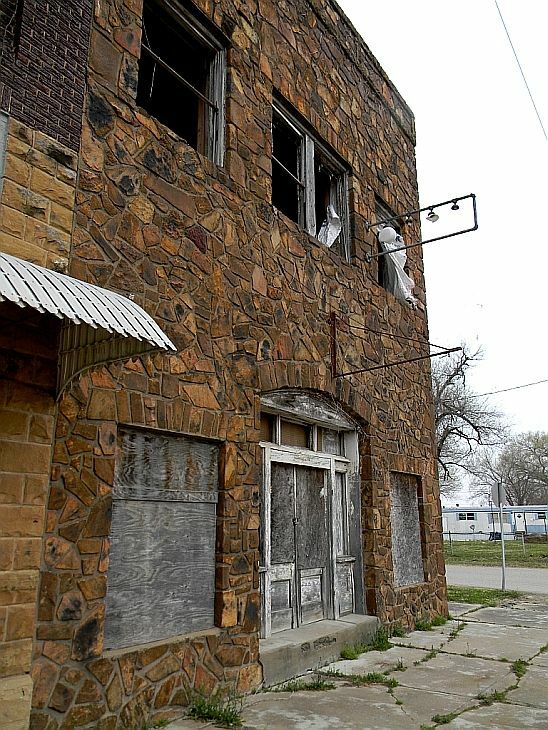 This building probably has an interesting history, as it was built after the oil bust and at the height of the depression. As yet, I haven't found out anything about it. 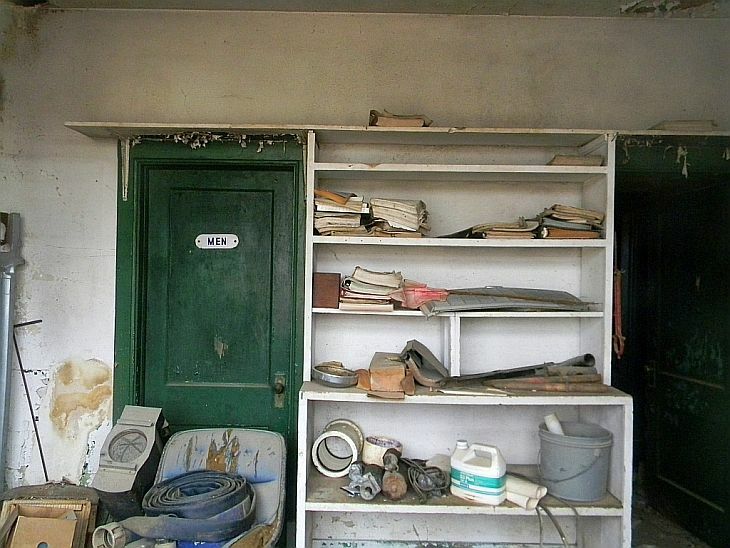 It's last use was as a motel and laundry. An entire block of vanished buildings. I had to look this one up. 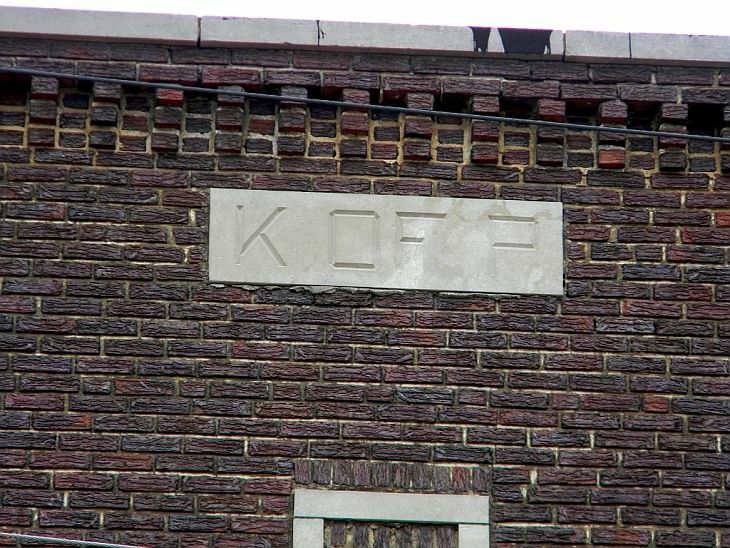 I had never heard of "K of P" Turns out it is the Knights of Pythias. A benevolent fraternal order founded in 1864 and was the first fraternal organization to receive a charter under an act of the United States Congress. The organization is still active today, though obviously not in Barnsdall. I received various information on this building as well. 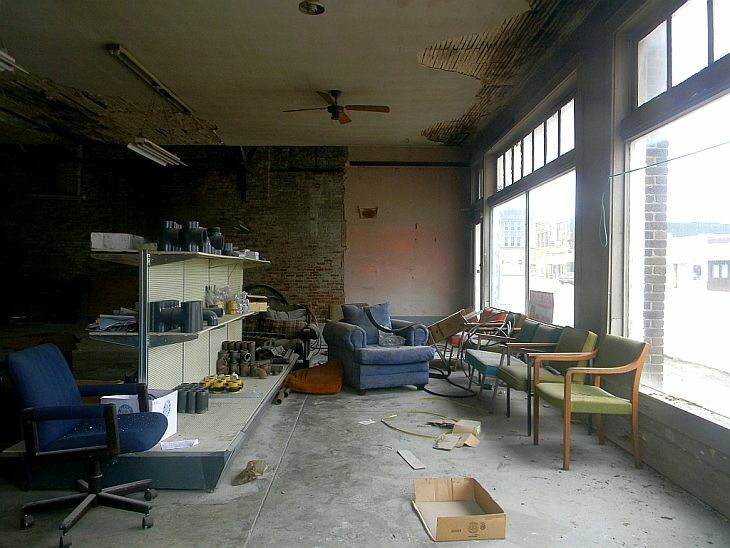 It was either a hardware store or a furniture store, or perhaps both at different times. 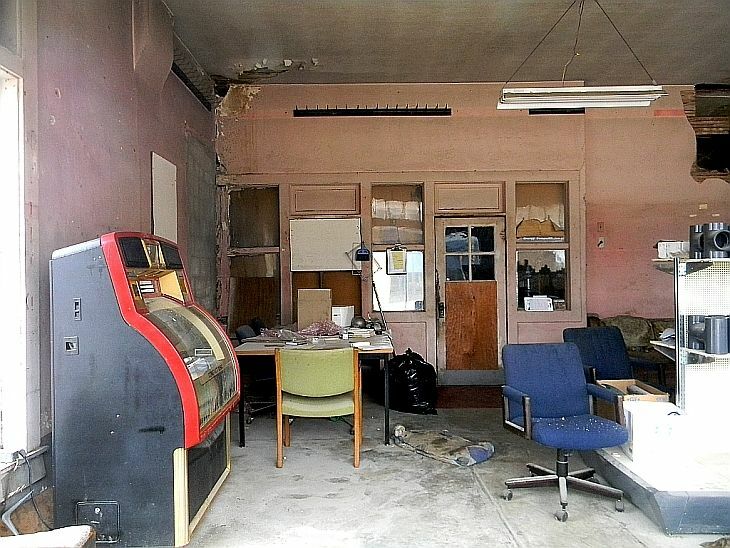 Someone has kept the building in decent shape, though it is unused. 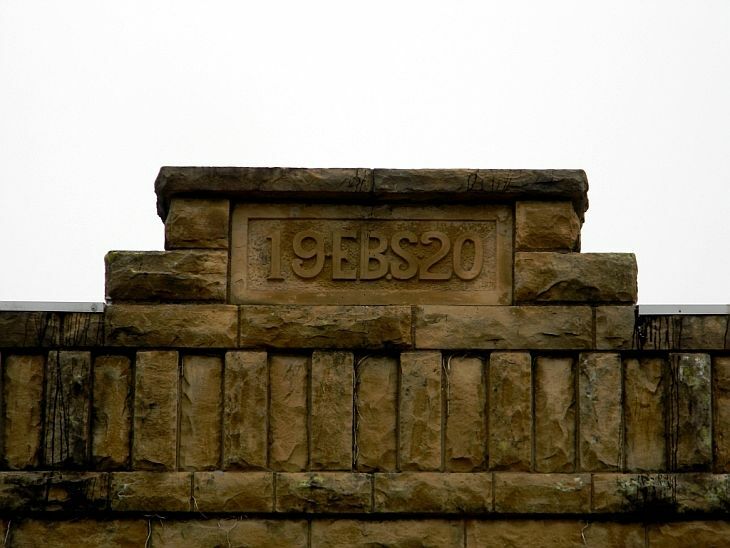 The building was build in 1920 with the intials EBS. These initials are also in the concrete sidewalk. 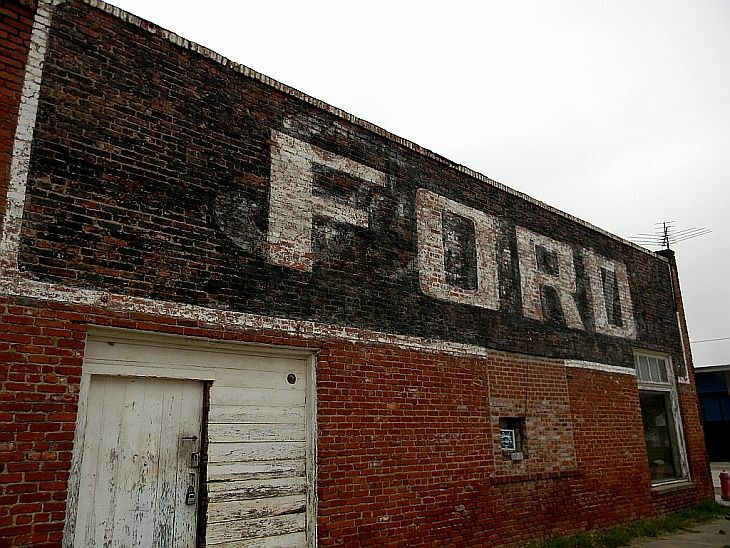 This old Ford dealership was supposedly opened in the late teens. 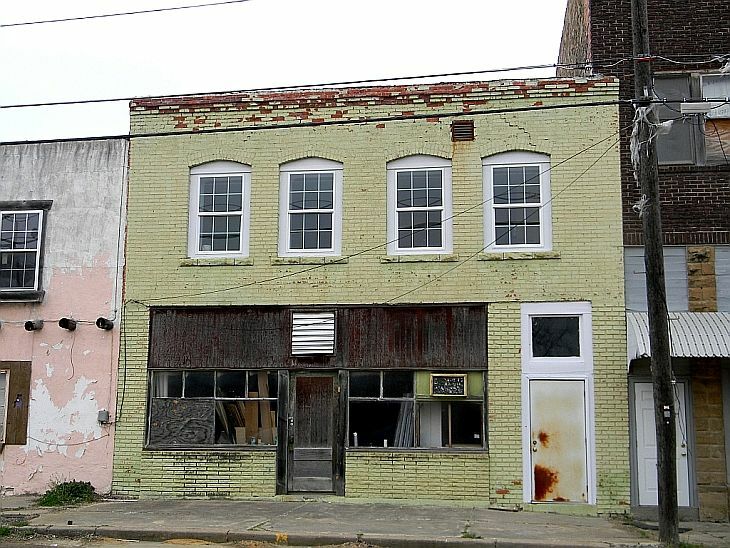 I can neither confirm nor deny, but the building definately dates from the period. 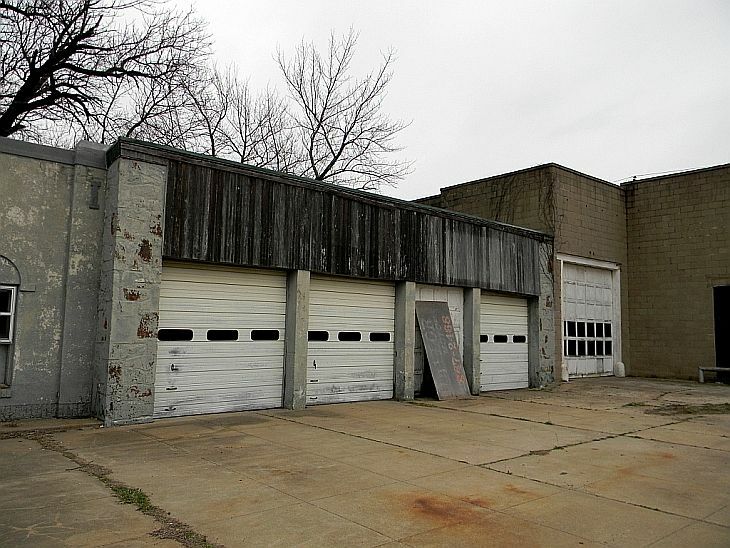 I was told the dealership closed in the 1980s, though the building continued in use as a garage for some time after the dealership closed. 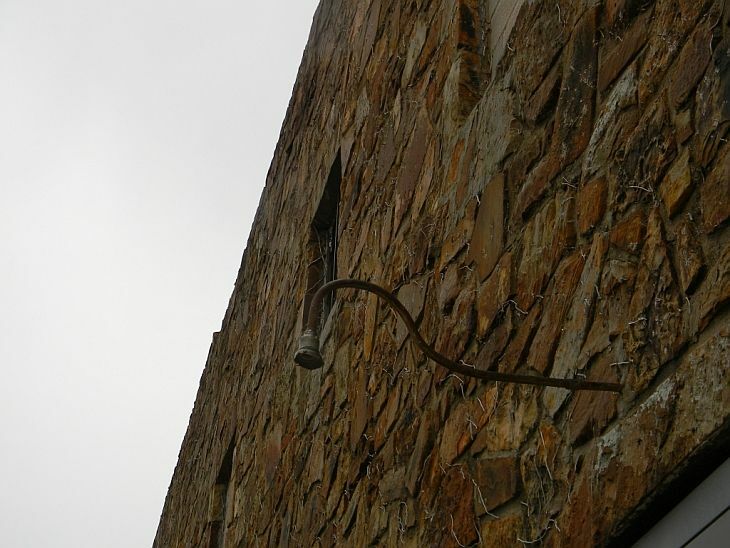 Some of the other old buildings in Barnsdall. 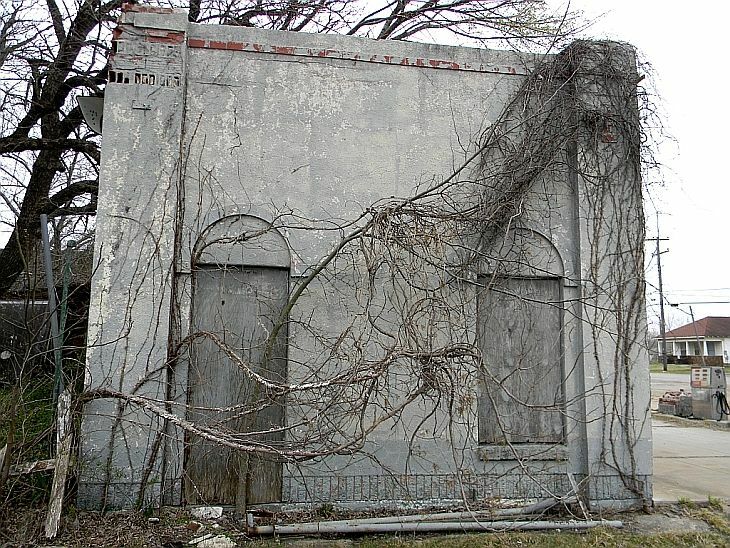 I liked this old building, but couldn't get any information on what it was. At first I thought an old hotel, but not enough windows. Maybe on my return trip I can find out some more information. 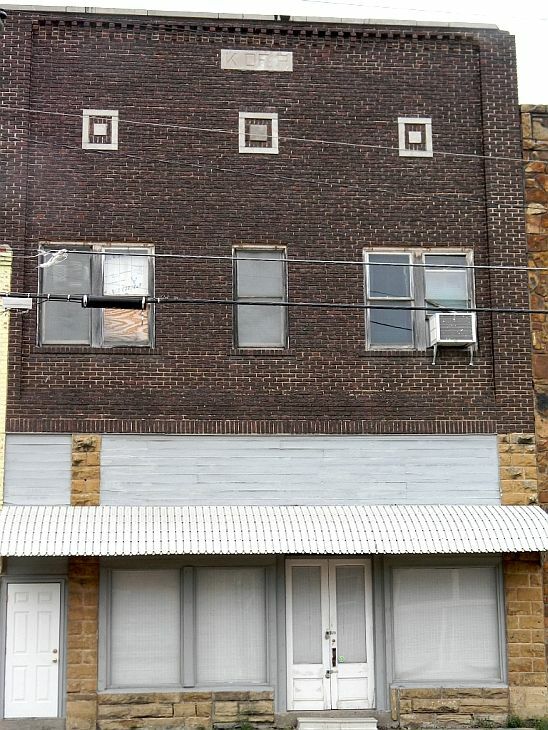 Maybe this was the haberdashery where Clark Gable worked. (Keep reading). This is tenacity. 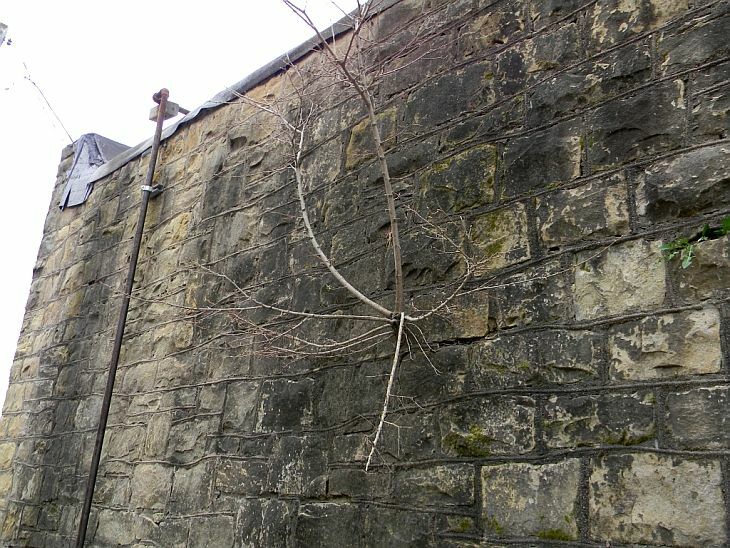 The tree is growing out of the building. Clark Gable worked the oil fields here from 1920 to 1922. 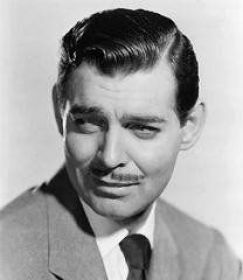 Clark followed his father down to Bigheart and worked there sharpening bits on their oil drill, then as a mechanic, a sales assistant, a book-keeper for Curtis and Brown haberdashery, and then cleaning stills in the oil refinery. Local legend has it that he was also part of a singing quartet that would perform in town. His father never liked his performing ambitions, he thought it made him a sissy. I've yet to figure out which of the buildings was the Curtis and Brown haberdashery, or if it even still stands. Barnsdall was also the birth place of Anita Bryant in 1940. She was an American singer, former beauty queen and gay rights opponent. 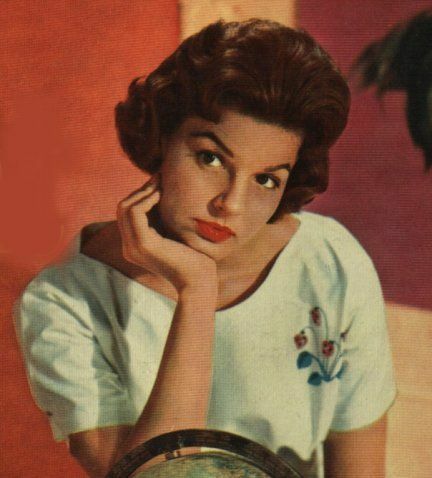 She scored four Top 40 hits in the United States in the late 1950s and early 1960s, including "Paper Roses", which reached #5. The manufacture of chemicals from petroleum had its beginning in the Southwest at the Tallant gas processing plant located 3 miles north of Barnsdall. 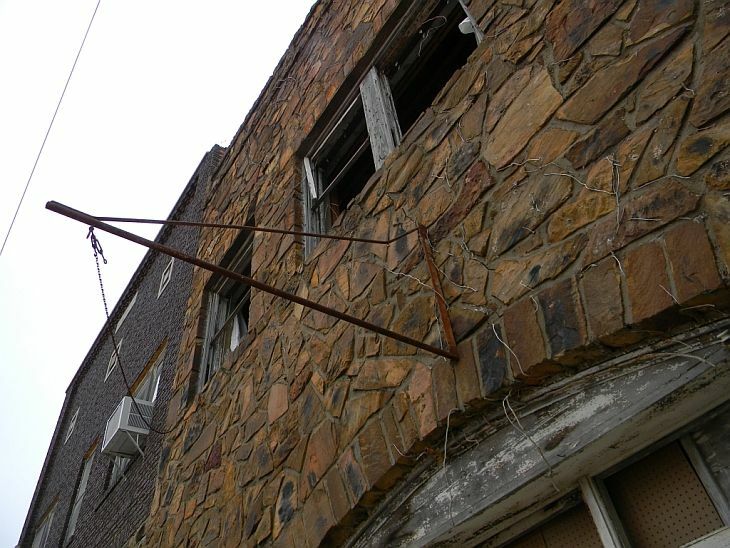 Built in 1926 by a Cities Service Company subsidiary, the plant process was the research answer to red rust produced in transmission to market of natural gas from the Burbank, Oklahoma field. 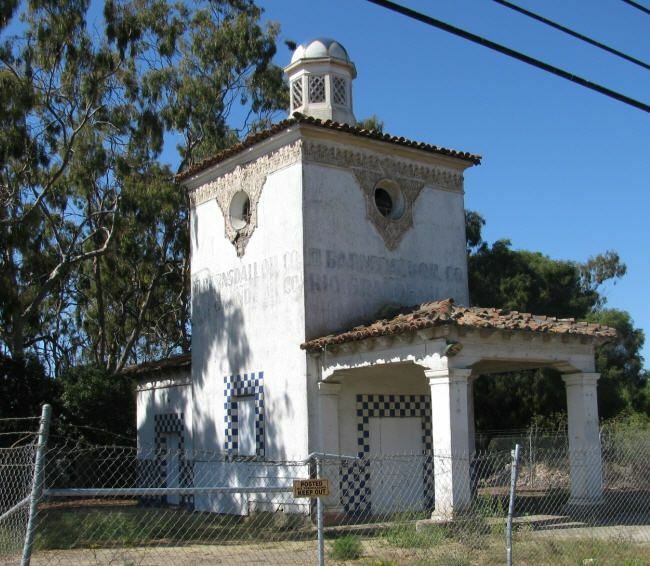 The liquid by-product of Burbank gas treatment was first processed into a formaldehyde preservant and alcohols. Processing refinements produced other petrochemicals used in solvents, photographic chemicals, preservatives, medical products, refrigerants, safety glass, adhesives and disinfectants. World War II shifted production of Tallant petrochemicals to high-priority war effort necessities, contributing to development of all-weather plywoods for assault boats, pontoon bridges, torpedo boats, planes and aircraft carrier decking. Another Tallant petrochemical was used in making shatter-proof glass that protected crews of bombers and other war craft. On battlefields, derivatives of Tallant petrochemicals gave relief from pain to the injured, went into wartime medicines and anesthetics, disinfected against disease and kept in transit foods refrigerated. Recognized as the patriarch petrochemical plant, it was retired in 1954 and the complex dismantled, but, the process that had its beginning in 1926 is still used elsewhere. All of this from the little town with the Big Heart. Thanks for coming to Barnsdall. My wife is from there, and we come up on a regular basis. Great pictures!! Just FYI, the entry "An entire block of vanished buildings." is where the old elementary school was. My mom's family is from Barnsdall. I can give a little information! 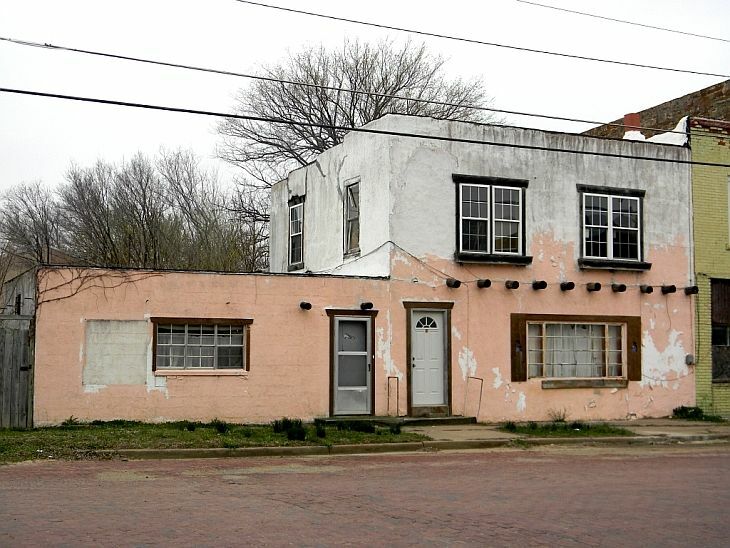 The pink pueblo-type building with the wooden pegs coming out of it is an old salon. My great aunt Estelle used to run it. The building next to it, the stone one with the broken sign (http://i593.photobucket.com/albums/tt11 ... ost098.jpg), once held a printing office (for a newspaper, I think). My mother used to go there and watch them work the giant Lineotype machine. I also have a picture of the Main Street Oil Well before it was repainted! 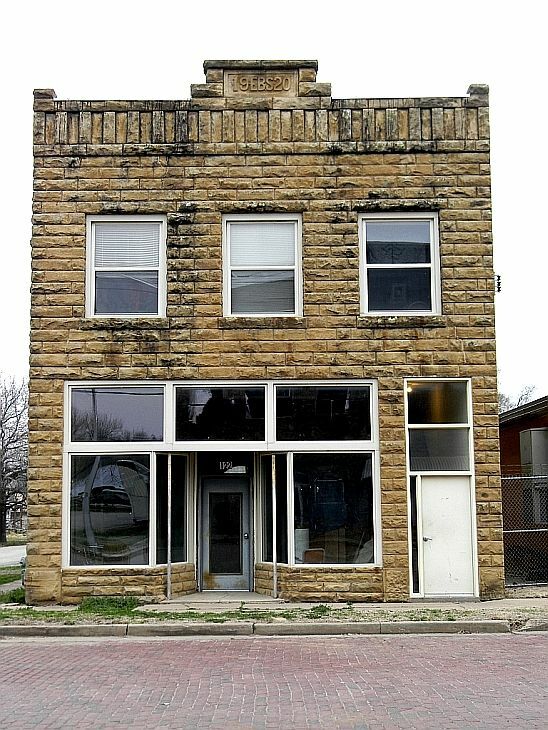 The stone building toward the bottom that you like is the former Oddfellows Hall, not a haberdashery, hotel, etc. The yellow/green building above it is the former newspaper office that still contains much of the old press equipment. The owner of the newspaper lived above. 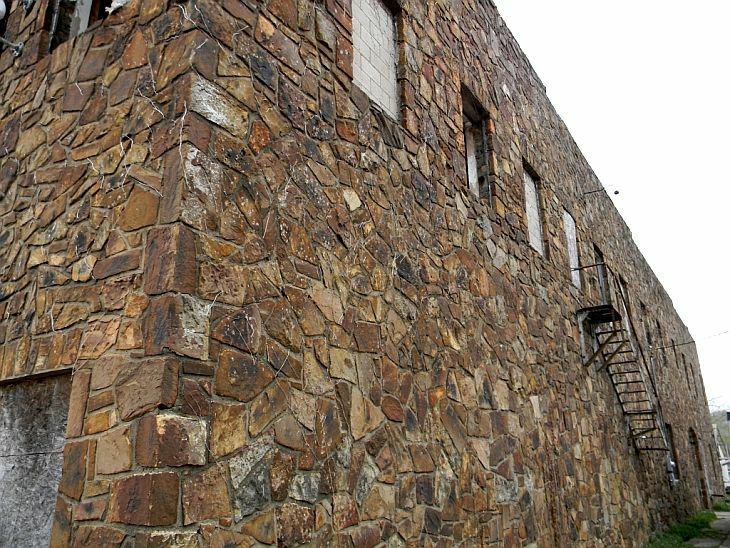 The "EBS" cut stone building across the street is not abandoned or disused. It is now an apartment building. It was a grocery, if memory serves. Hi, folks. I guess this is not a very active board but I found it through a Google search. My mother was born and raised in Barnsdall and lived there until she went to college in 1955. In 1959 she married my father and they moved to Germany where he was stationed with the Army. My brother was born in Germany in 1960 and I was born there in 1961. In 1963 we moved back to Barnsdall and lived there until 1967. 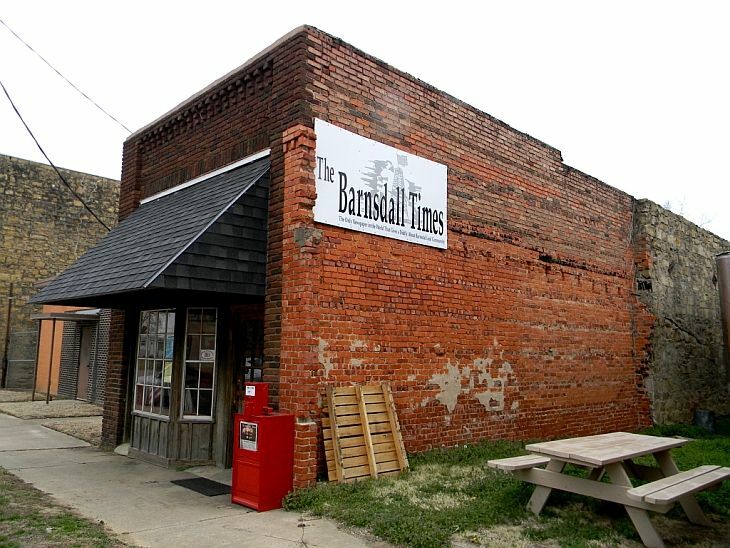 My earliest memories of life are in Barnsdall. We continued to visit even after we moved to Virginia (Washington DC area) in 1967 and to Colorado in 1972. 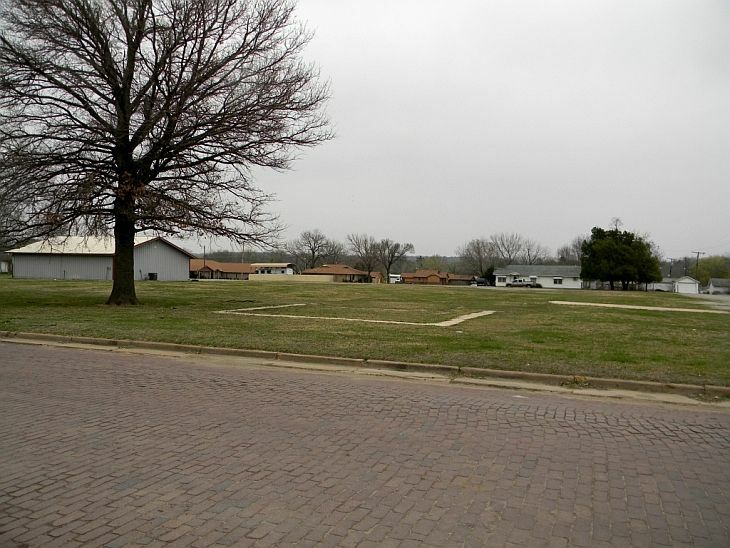 My grandparents, Ray and Esther Hutchison, lived in Barnsdall most of their lives and both are buried in the cemetery Southeast of town. My grandmother died in 1980 and my grandfather in 1982. After that we had no more relatives in Barnsdall and no reason to visit, but I've been back several times, in 1984, 1986, 2000, 2005 and most recently in April of 2014 when my wife and I camped out at the campground at Birch Lake in our little trailer. It was fun showing her all the places I remembered growing up. I'm going to make a few comments on some photos posted just to add information from my own recollections. From about 1965 to 1967 we lived in the yellow-brick house immediately to the left of the main street oil well! The wood fence you see is the fence to our yard (the 6' wood fence was added long after we left - when I lived there we just had a 3' chain link fence.) 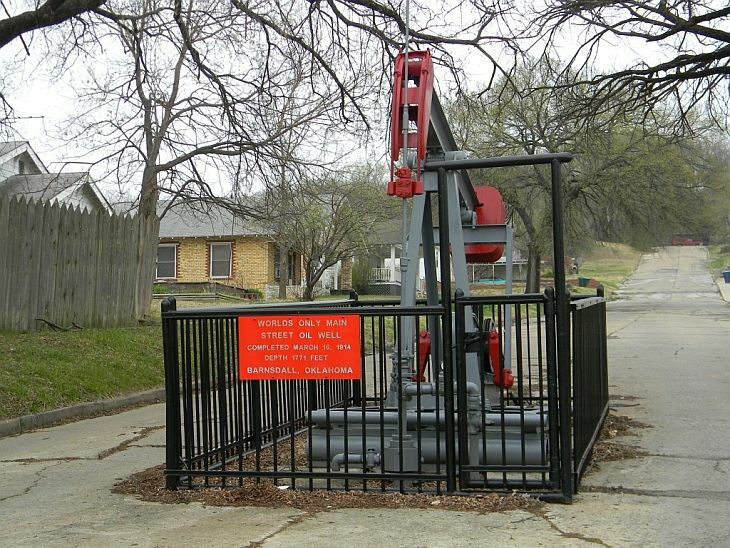 The main street oil well used to be powered by a powerhouse located up on the top of the hill with a long shackle-rod to operate the pump jack. It would make an awful racket squeaking and clanking! It was replaced by the self-powered pump jack some time in the mid to late 1960's. My grandfather Ray Hutchison was the president (I believe - or some other high muckety-muck) at this bank. We used to visit him at his office. I think he retired some time after we left Barndsall in 1967. 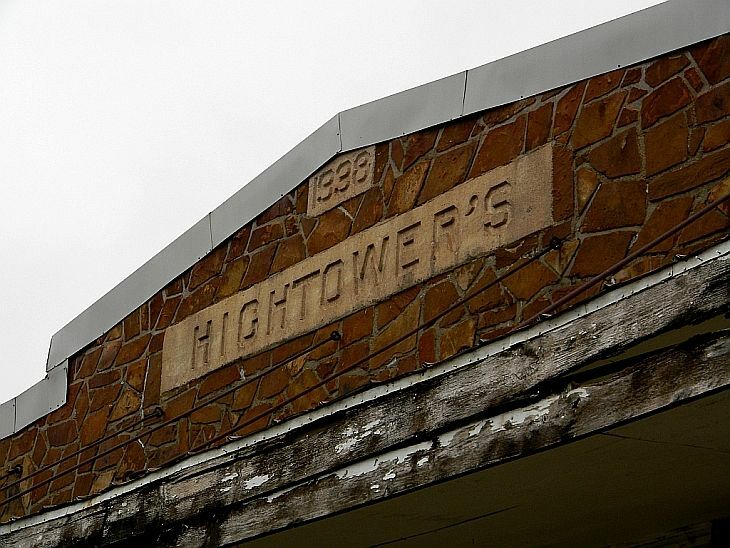 I believe the "Hightowers" building may have been a grocery store when I was there. Barnsdall was actually a fairly bustling community in the 1960's. There were at least 3 grocery stores in town (possibly 4, but 3 I knew of for sure), and there were at least 4 - 5 gas stations and probably more than that. There were both Ford and Chevy car dealerships and a number of cafe's although I don't remember any big restaurants being in town. 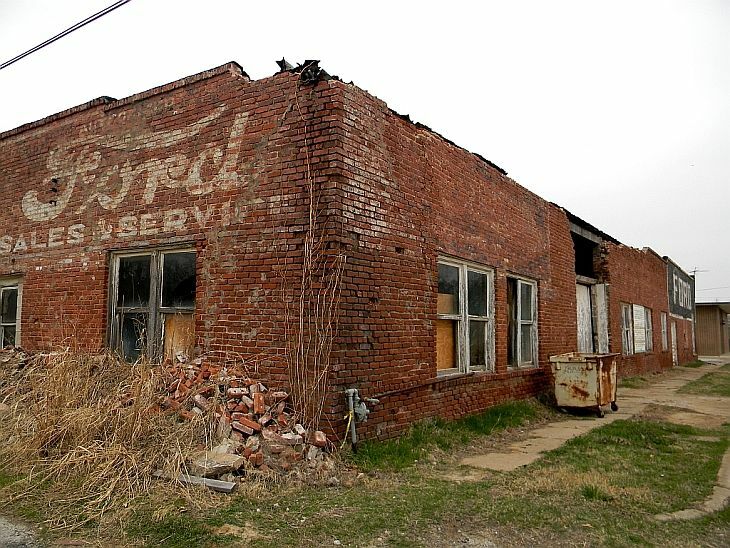 In periodic visits from 1968 - 1980 I got to watch the town decline significantly. 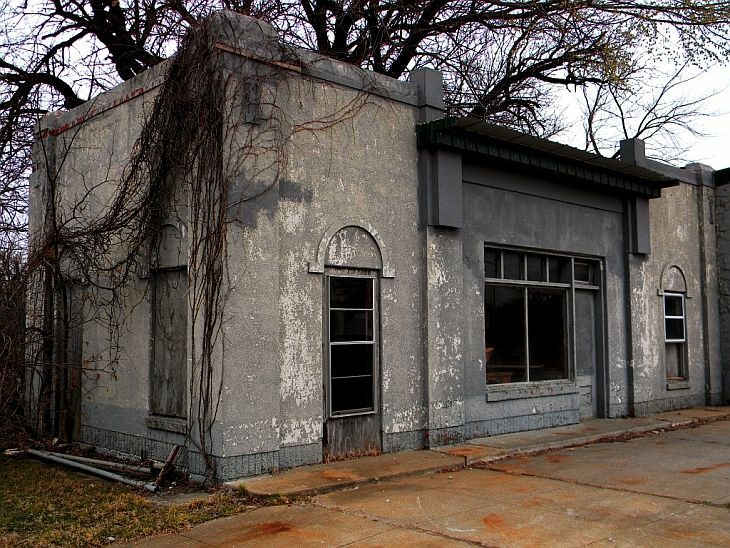 When we passed through in 2014, there were not very many businesses left still operating. Nevertheless, Barnsdall will always be a part of my personal history.